(DETROIT) – The Detroit Pistons are still clinging to the final spot in the Eastern Conference playoffs thanks to their biggest second-half comeback in three decades. 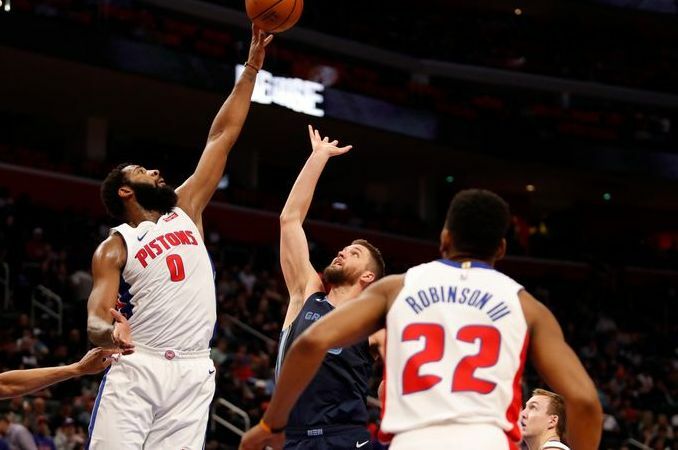 Ish Smith matched a season high with 22 points and Andre Drummond had 20 points and 17 rebounds, helping Detroit rally to beat the Memphis Grizzlies 100-93 Tuesday night. Detroit's comeback from a 19 point halftime deficit was its largest since rallying from being down 23 points to beat Seattle on March 31, 1989. Blake Griffin was limited to five points and two rebounds in 18-plus minutes, barely playing in the second half because of his injured left knee. Luke Kennard scored 12 of his 15 points off the bench in the second half for Detroit. Delon Wright and Bruno Caboclo each scored 15 points for the Grizzlies. Tyler Dorsey added 12 points in the loss. The Pistons can clinch a postseason bid by closing the regular season with a win at New York, or if Charlotte loses at home to Orlando tonight.